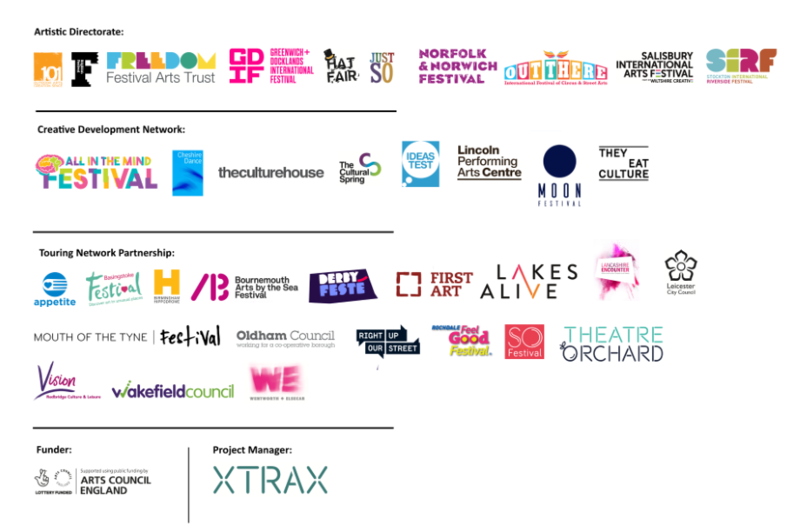 The ATN has explored many and varied types of audience development activities, and an evidence base has been established through data collection and evaluation by partners, with the support of The Audience Agency. 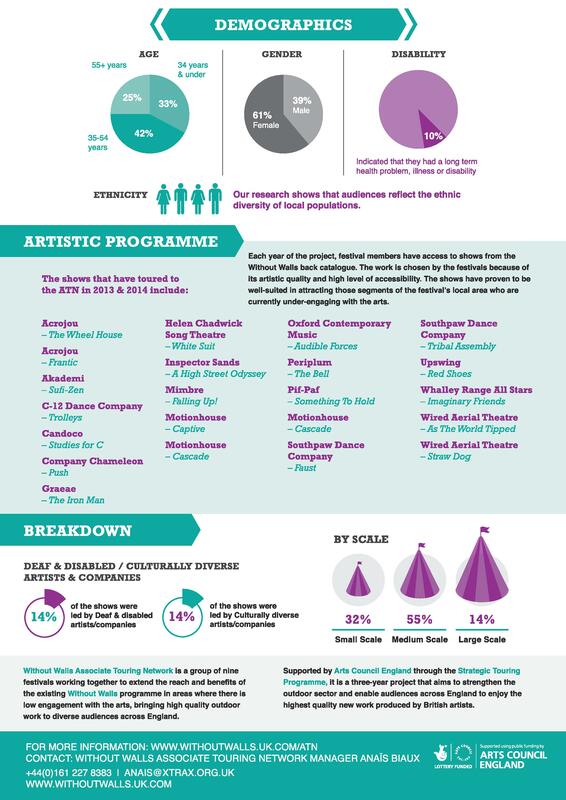 This evidence base means that the UK sector is now seen as the leaders in audience development within the Festival and Street Arts sector. 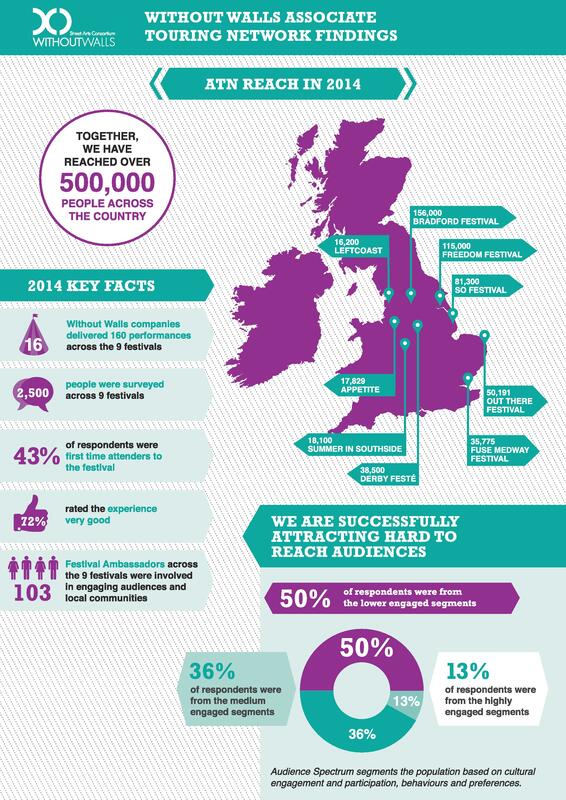 As a celebration of this success, Without Walls has created a document which outlines many of programmes of audiences developoments, and contains case studies and reveals the statistical outcomes. 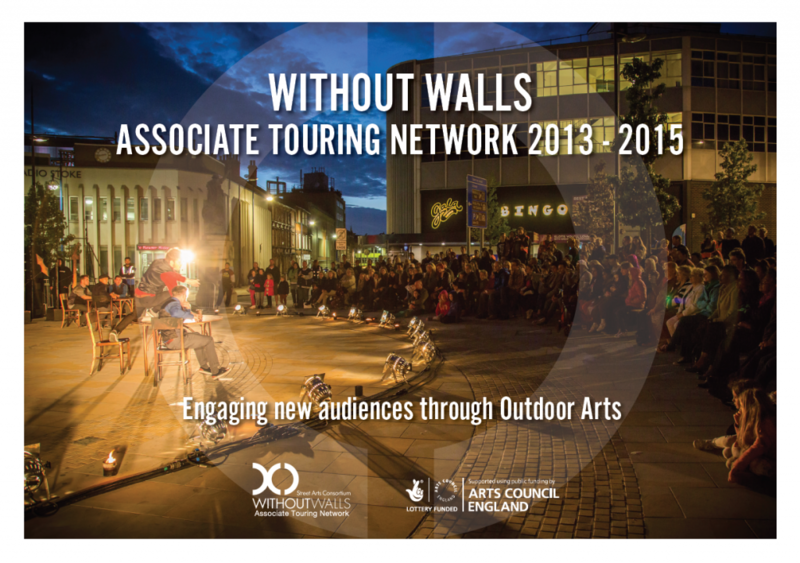 This completely free to download and we hope that it will become a toolkit and a source of inspiration for festivals across the UK and beyond. The following statistics, collected by The Audience Agency, are just a handful of findings from a huge research project featuring all nine of the ATN partners. These findings will be the foundations for which the legacy of this project will be felt for years to come. For more information about these findings please contact Anais Biaux, Project Manager, or Alex Winkcup, Project Manager: Evaluation and Audience Development, XTRAX.